We’ve already extolled the virtues of the Outerbike concept, where curious consumers can test ride multiple bikes in a back-to-back format on nearby trails. (Check out highlights from 2014 Moab Outerbike.) But now the Moab, Utah-based operation has gone international, this year rolling out the first annual Outerbike Whistler. That’s right, WHISTLER!! For more about the area’s mountain biking, check out our two-part Whistler Experience series here and here. 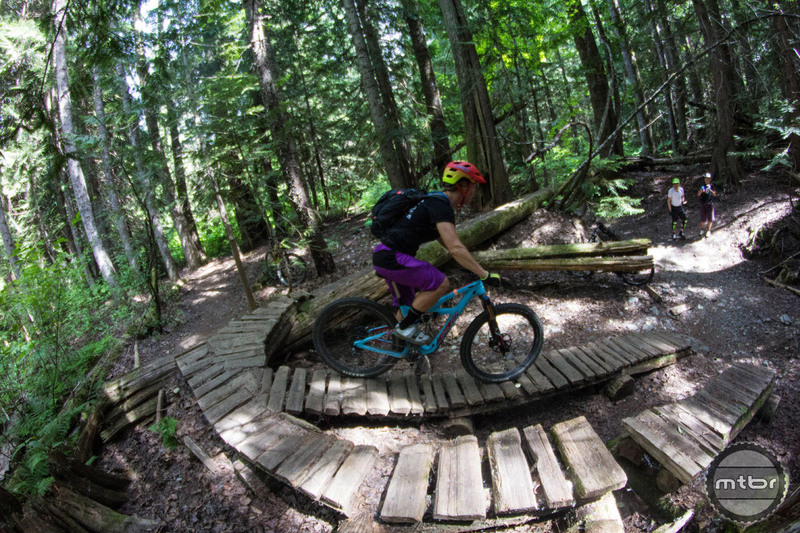 This British Columbia wonderland is home to the world’s most famous bike park, and a massive network of easily accessed cross-country trails that range from ladida cruisers to tip-of-the-saddle pucker’fests that featured in the Enduro World Series. 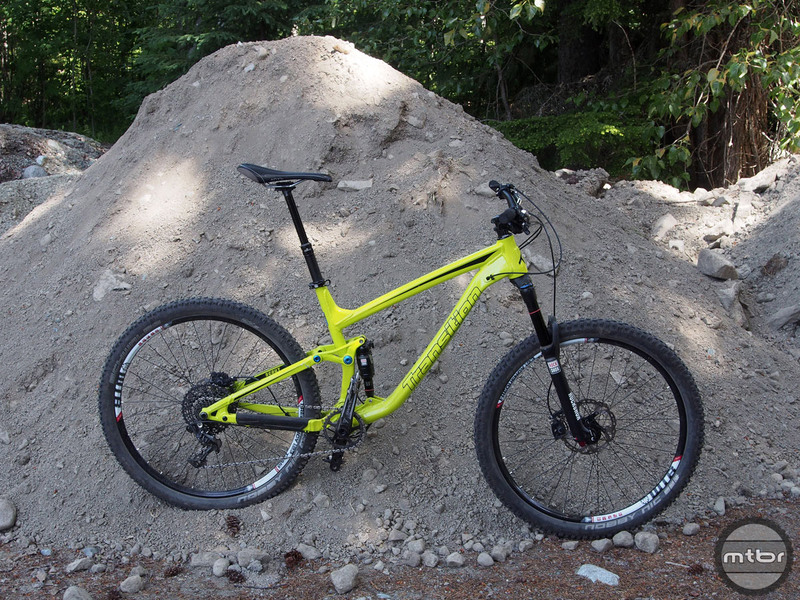 There is literally something for everyone — and every type of mountain bike. 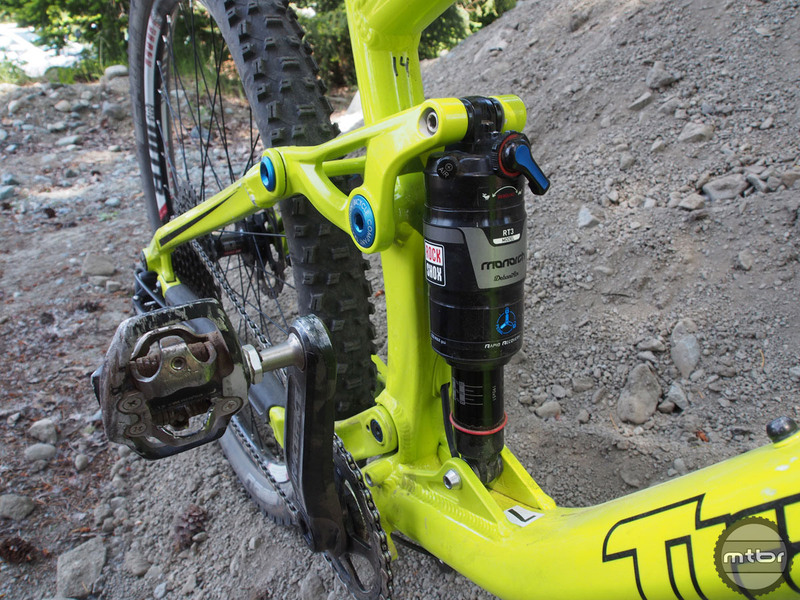 Mtbr had the good fortune of having proverbial boots on the ground for Outerbike Whistler No. 1, which cost $220 per person and ran June 4-7. Company attendees included the likes of Ibis, Osprey, IXS/Spank, 100%, Transition, FOX, Kona, Norco, Durango Bike Company, SRAM, Rocky Mountain, Marin, SR Suntour and MRP. 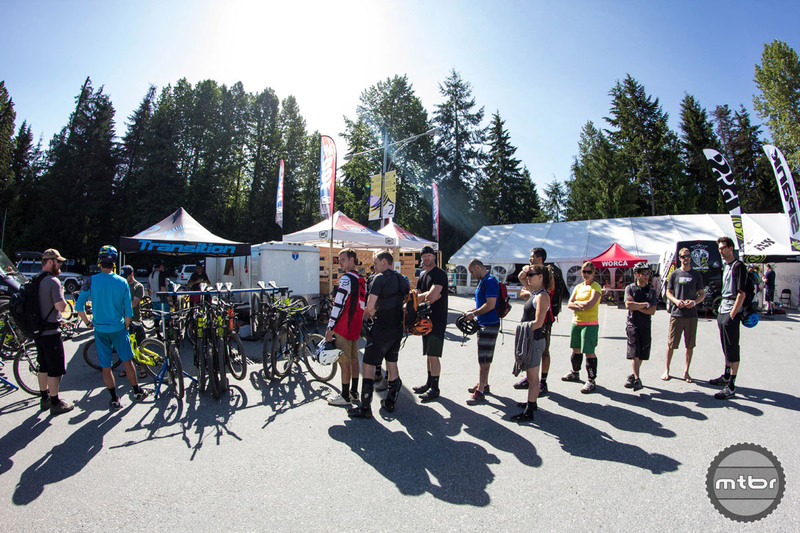 Besides getting a chance to sample wares from all these companies, the 335 registrants received a 3-ride punch pass for the Whistler Bike Park on Thursday and Friday, and could buy a full-day ticket for deep a discount. There were also plenty of parties and beer drinking at the Longhorn Saloon, après host site for this four-day lollapalooza of all things mountain bike. We stood in line at the Transition booth hoping to ride the Patrol. But the only size Large tester they had left when it was our turn was this Scout. Pleasantly surprised is an understatement. This bike was exceptionally capable (and confidently stable) on the steep, technical trails that ring the valley around Whistler (click to enlarge). 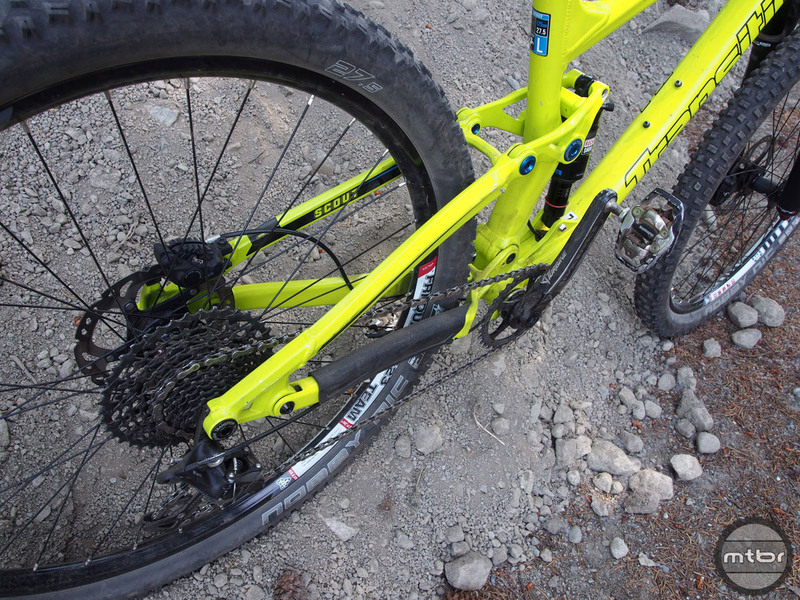 Transition uses what it calls Giddy Up suspension on all its trail bikes. That’s a tongue-in-cheek reference to the common “Horse-Link” slip-up people often make. It’s Horst-Link of course, and it’s a proven and reliable design (click to enlarge). 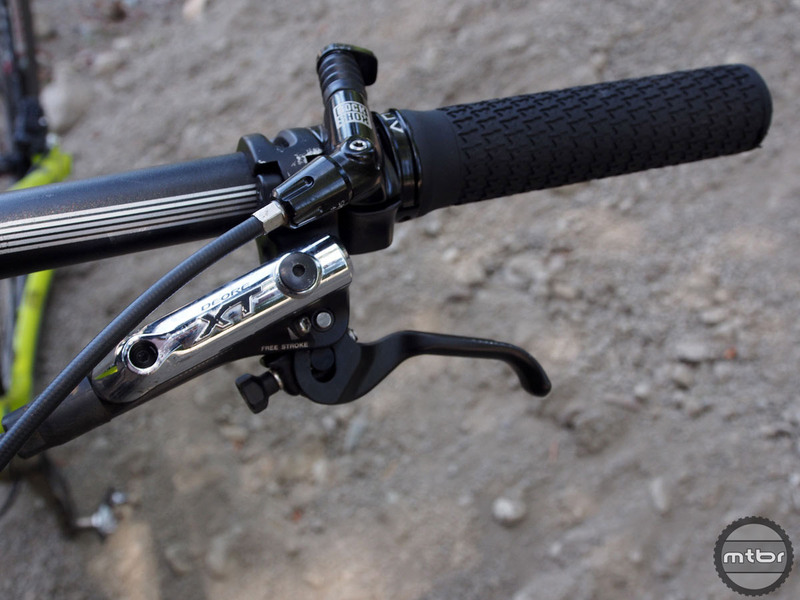 Chainstay length is a stubby 425mm, which translates into a snappy, fun riding bike (click to enlarge). This small Bellingham, Washington-based bike maker is staffed by a passionate group of riders who understand how a bike should ride — and be spec’d. 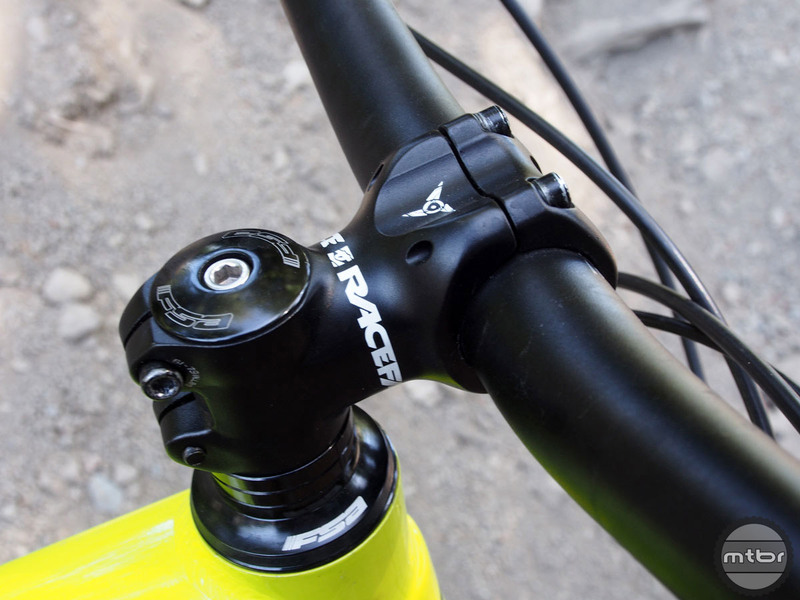 Thus the 45mm Race Face Respond stem (click to enlarge). Spec on this alloy frame $4900 build includes Shimano XT brakes, a 140mm RockShox Pike, and WTB Frequency Race i23 Wheels (click to enlarge). 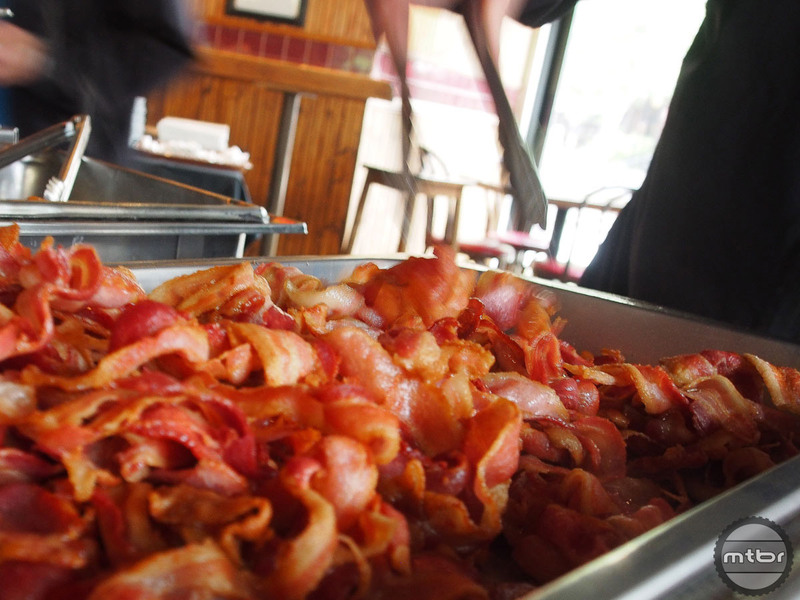 At Outerbike Whistler, every day started with bacon (click to enlarge). Your wristband got you access to over 350 demo bikes (click to enlarge). 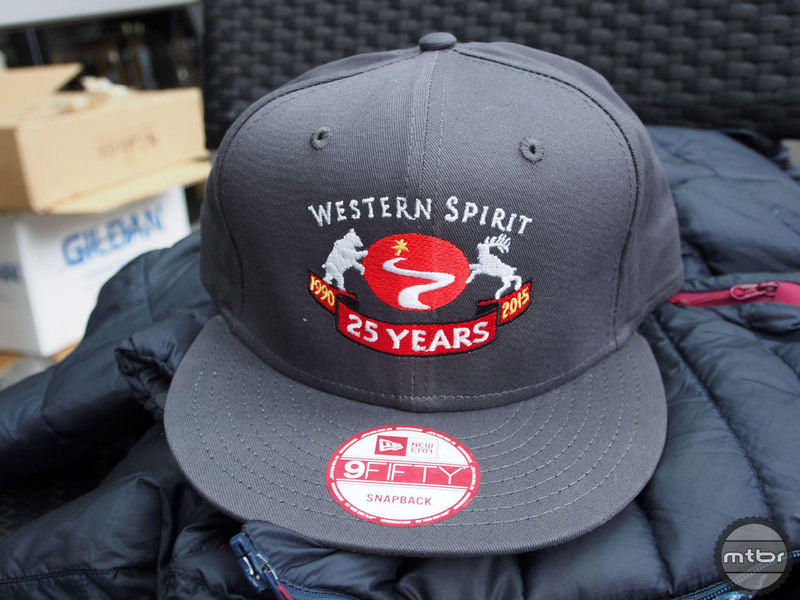 Event organizer Western Spirit Cycling is celebrating 25 years of biking fun (click to enlarge).